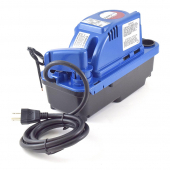 Little Giant VCMX-20ULS (554530) Automatic Condensate Removal Pump features Safety Switch, which allows to connect air-handler shutdown or activate an alarm or building automation system. 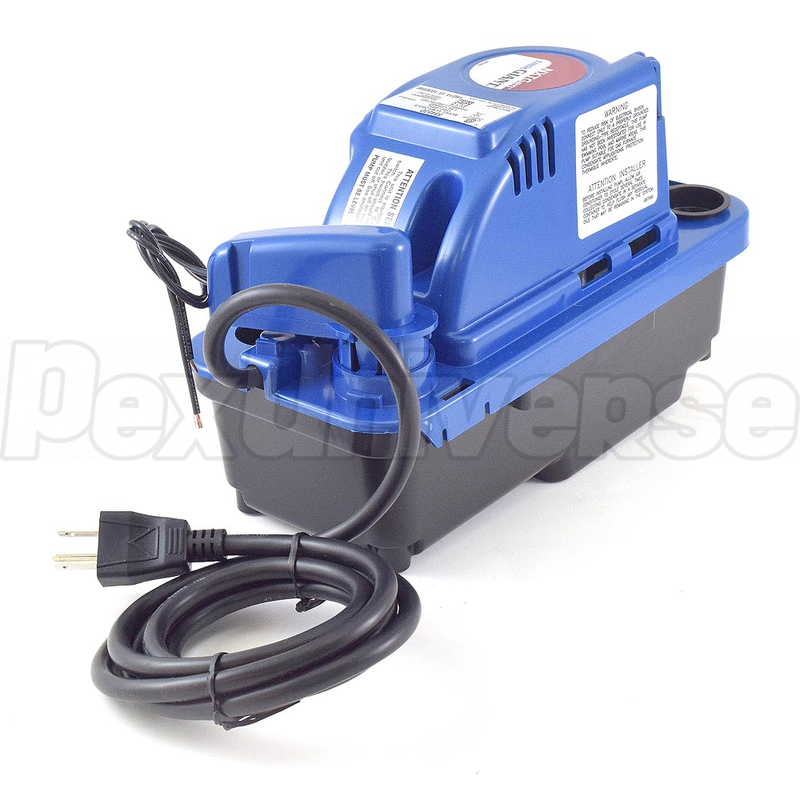 The Little Giant VCMX-20ULST has 6ft power cord, 1/2 gal. 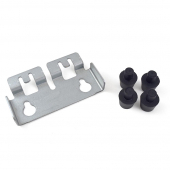 Oil Resistant Tank, external test/run Lever for quick and easy drainage of tank for servicing, and slimmer footprint size for flexibility in tight spaces. 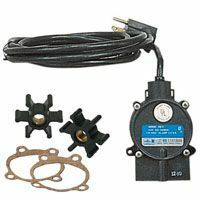 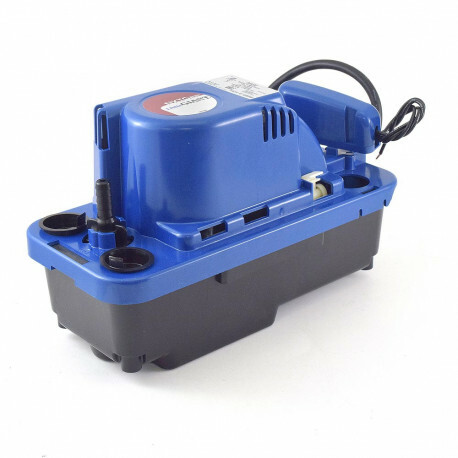 Also this Little Giant Condensate Removal Pump features 3/8" 1/4-Turn Check Valve, that allows servicing without removal of tubing, eliminating water spills. 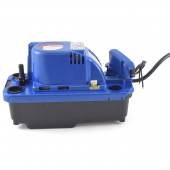 Oil-resistant tank and check valve eliminate the problem of cracked tanks with exposure to oil. 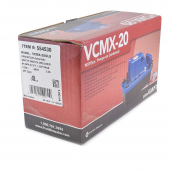 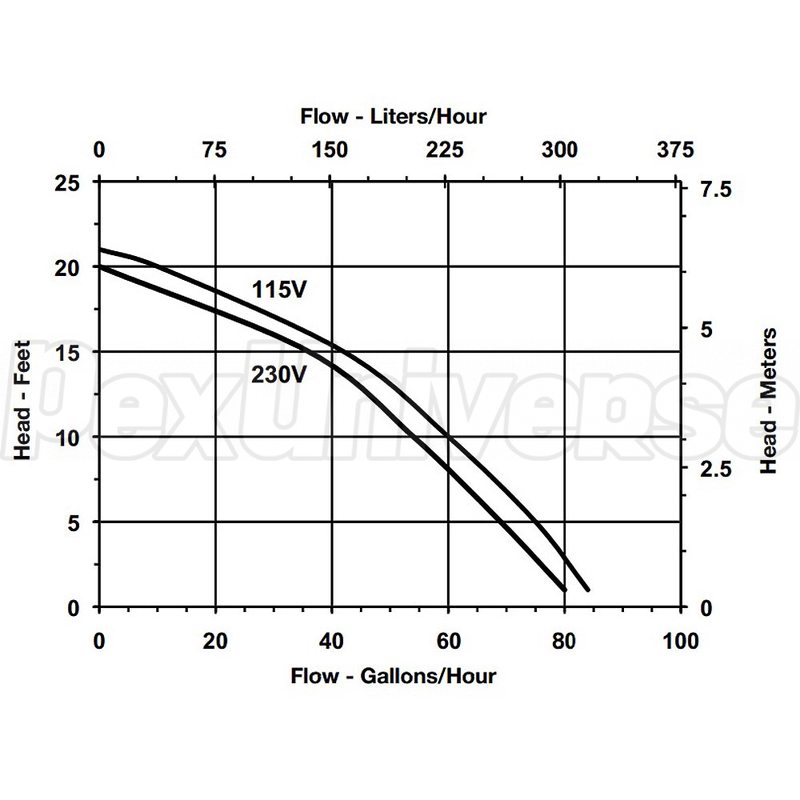 Little Giant condensate pumps VCMX (X Next Generation) offer greater head capacities than the VCMA Series. 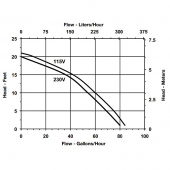 Patent-pending cooling design increases pump life.